Give your drink some character with the Mustache Ice Cube Tray. 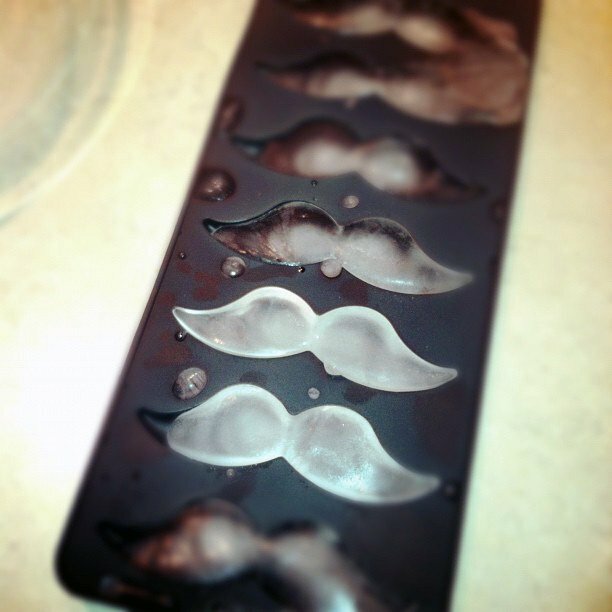 Make some entertaining and distinguished mustache-shaped ice cubes for your favorite beverages. Each tray makes eight handsome mustache cubes. These are perfect for your next gentlemanly get-together. You can also make some manly Jello-stache shots, as well.